OVERKILL's the Walking Dead is a four player co-op action FPS where players fight the dead as well as the living. Set in The Walking Dead Universe, a group of four players do whatever is needed to keep themselves and their camp safe in a post-apocalyptic Washington D.C.
OVERKILL'S The Walking Dead offers the player a universe where every single move will run the risk of turning a quiet scavenge for loot into an intense adrenaline-fueled, action-packed fight for survival. 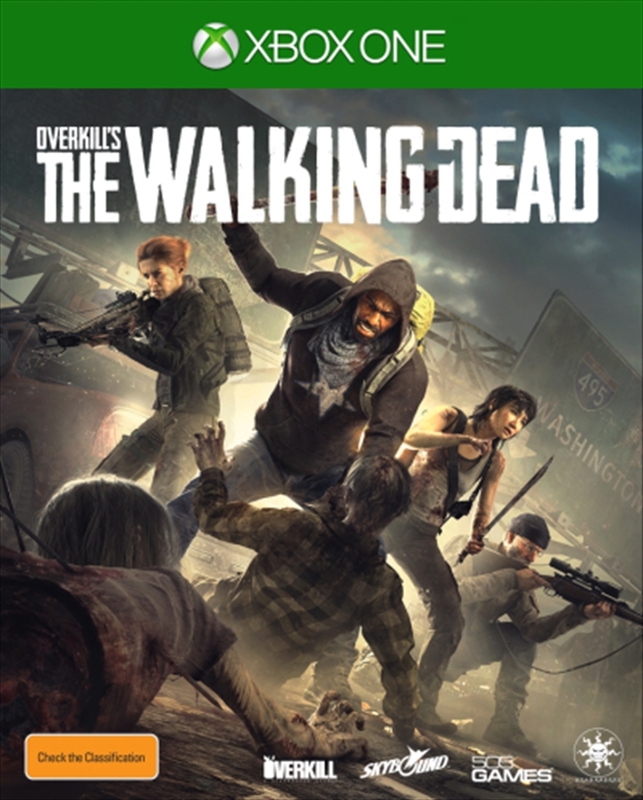 Based on The Walking Dead created by Robert Kirkman - OVERKILL's The Walking Dead draws from everything that the rich universe holds, creating an original mixture of OVERKILL gameplay and The Walking Dead's celebrated universe. Make your way through a desolate Washington D.C. where walkers and other survivors stands in your path. Working together with Robert Kirkman, OVERKILL aim to create the most authentic and gruesome representation of The Walking Dead universe yet. OVERKILL's The Walking Dead is a co-op multiplayer game where you and your friends take on the dead as well as the living. Developed by OVERKILL Software (PAYDAY: The Heist and PAYDAY 2) and made in Unreal, OVERKILL's The Walking Dead aims to raise the bar on co-op gameplay. To succeed in each mission, teamwork and coordination is essential. Properly caring for weapons is important, as they wear and tear just as the game universe. Players need to make sure the next bullet will leave the chamber instead of leaving them defenseless with a jammed rifle. Throughout the city players can find addons and attachments, such as scopes and silencers, increasing their weapons efficiency. With a little luck and a lot of ingenuity they'll also be able to construct other tools and devices to increase their chances. For each successful mission, players gain experience and earn weapons at the same time as more and more pieces of each character's background unfolds. For each mission they'll also learn more about the fallen city, meet and fight other survivors and discover how the apocalypse changed the city. Camp is where players plan their next steps. The player need to keep it and the people inside safe. This is done by scavenging for supplies and upgrades and fending of hordes to increase the groups chances. OVERKILL's The Walking Dead is all about tension and fear. Actions have consequences and every sound you make risk pulling the horde closer. So sometimes it's better to use a knife instead of a gun. In order to survive in OVERKILL's The Walking Dead players will have to venture into looted suburbs and abandoned stores. Search houses for valuables and resources but be wary of the constant threat of the unknown. An all new story incorporated into The Walking Dead universe has been written by the OVERKILL crew in close collaboration with Robert Kirkman and his team at Skybound. Drawing from the same dark source from the original comics, prepare for the worst as the group tries to settle their camp and survive. Continue the story and gameplay of OVERKILL's The Walking Dead post-launch by joining the community and discussing the game and its future with the developers OVERKILL Software. Discuss, watch and play as the story unfolds and new gameplay is added to the game - for years to come.